One option for a nutritious meal is a Vietnamese Noodle Bowl with tofu balls which are accented by a sweet and spicy sauce. Although the meal does require a time commitment, the components can be stored separately to create on-the-go meals for throughout the week. For the recipe itself, there are three distinct elements: the meatballs, the dressing and the bowl ingredients themselves which contain a healthy serving of filling noodles. The elements are then cooked and combined for a great meal. Try a Vietnamese recipe that is sure to entice any food lover. 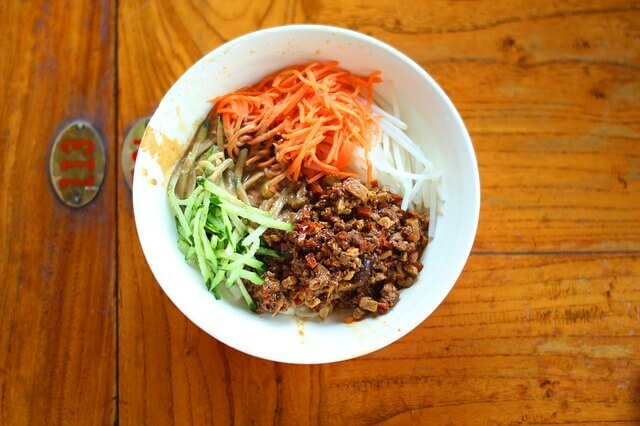 A simple noodle bowl actually sticks to vegetarian sensibilities along the way. Tofu meatballs are the focal point and will be added to the noodle bowl. Crunchy vegetables and herbs can also be added towards the end of the cooking process. Make sure to include a dipping sauce on the side for those trying it. That will make the dish an authentic Vietnamese inspired noodle bowl too.